Pick Up & Drop : CochinAny other services or meals which are not mentioned in the above "Includes" section. Munnar - The so called "Tea Garden Hill Station Of Kerala". On the way visit Vallara and Cheeyappara Waterfalls and Blossom Garden. Evening, enjoy the beauty of tea garden. Overnight stay at the hotel. Sightseeing of Munnar. Visit Eravikulam National Park to view endangered wild goat ' Nilgiri Tahr'. (National Park is Closed during breeding season. Please check with us regarding the visit prior to your arrival). Visit Tea Museum and the Tea factory, Mattupetty Dam and Kundala Lake. Overnight stay at the hotel. Proceed for sightseeing at Trivandrum. Visit Sree Padmanabhaswamy Temple which is 16th century temple dedicated to Lord Vishnu is the most impressive landmark of the city. 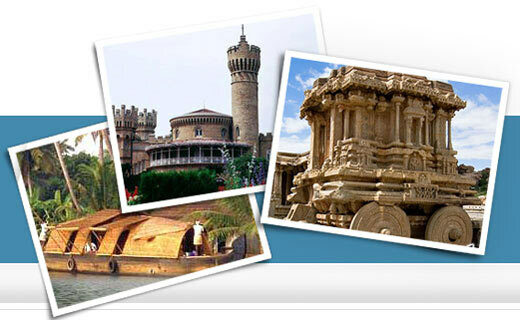 Visit Trivandrum Zoo, Sree Chitra Art Gallery, Napier Museum, Science and technology museum etc. Enjoy sun set in the evening relaxing on the beach.Overnight stay at the hotel. Given quote is valid for minimum 2 paying persons only. Confirmations of hotels are subject to availability. Slight alterations in the accommodation may become unavoidable due to unavailability of rooms in mentioned hotels, but the accommodation so provided will be of the same class. Check in time 1400 Hrs and Check out time 1200 Hrs for all Hotels. Rooms mentioned in Munnar and Thekkady are Non A/C. Vehicle at disposal from 8 am to 8 pm.